Telliamed: Indian Philosopher or French Missionary? The book attracted sufficient attention that it was soon translated and published in English in 1750 as Telliamed: Or, Discourses Between an Indian Philosopher and a French Missionary, on the Diminution of the Sea, the Formation of the Earth, the Origin of Men and Animals, And other Curious Subjects, relating to Natural History and Philosophy. De Maillet used Telliamed to present provocative ideas about the history of our planet and its inhabitants – long before James Hutton (1726-1797), Georges Buffon (1707-1788), Georges Cuvier (1769-1832), Jean-Baptiste Lamarck (1744-1829), Charles Lyell (1797-1875), Robert Chambers (1802-1871), Alfred Russel Wallace (1823-1913), and Charles Darwin (1809-1882) wrote on these subjects. The basic thesis of Telliamed is that our planet was once entirely covered with water, but the seas have been slowly receding into a void. This physical explanation makes no sense today. Nonetheless, Telliamed was an attempt to understand the natural world based on observations and questions – not based on religious texts and dogma. In other words, we should try to read from the book of nature itself. 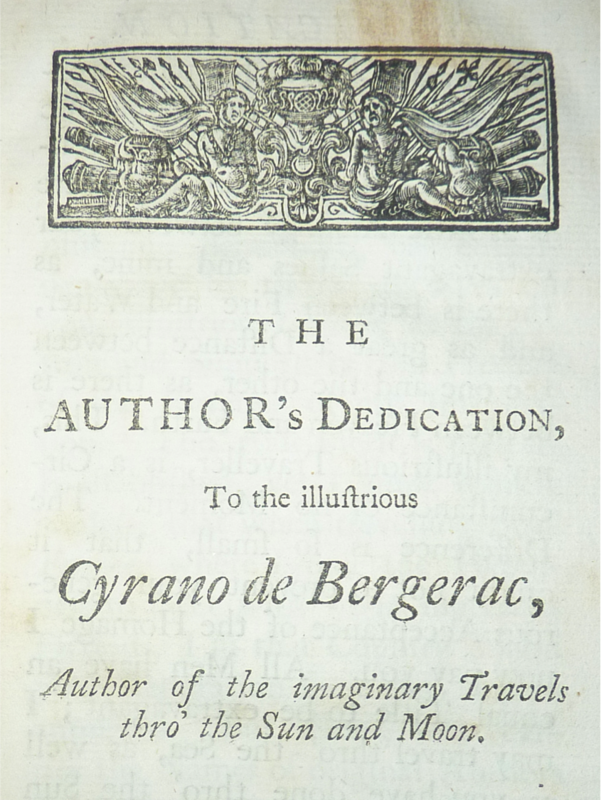 De Bergerac had written L’Autre Monde ou les États et Empires de la Lune – an early work of science fiction, and so this dedication might have allowed the defense that de Maillet’s work, too, was intended as fiction. Also, the French Missionary always speaks of nature through his conversations with the Indian Philosopher, thus merely repeating the speculations of another person rather than offering the ideas as his own. At the same time, de Maillet managed to be provocative. Giving the Indian Philosopher his own name spelled backwards hardly hid his identity. And the book is written as a six-day conversation that seems intended to mirror the six days of creation in Genesis. Most importantly, Benoît de Maillet was eager to convince his audience that an understanding of nature should be based on observations and questioning rather than religious authority. I’ve browsed the opus at archive.org and found it to be a strange mixture of an evolutionary hypothesis on the one hand and taking its own hypothesis too literally on the other. Telliamed thinks that birds stem from flying fish, for example, likewise bears from sea-bears etc. It cannot compare to the wors of James Hutton or Georges Buffon on that score IMHO. (2) The faint glimmerings of evolutionary thinking, even though de Maillet’s proposed theory was all wrong.